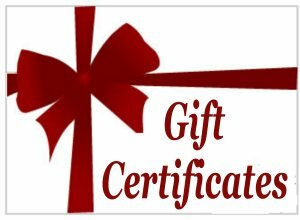 ONLY FILL OUT THE FORM, if you would like the Gift Certificate sent directly to the recipient, otherwise it will be sent blank. Minimum Gift Certificate is $20.00. Please choose the amount desired in the drop-down box to increase the amount. Enter the name of the receipient.